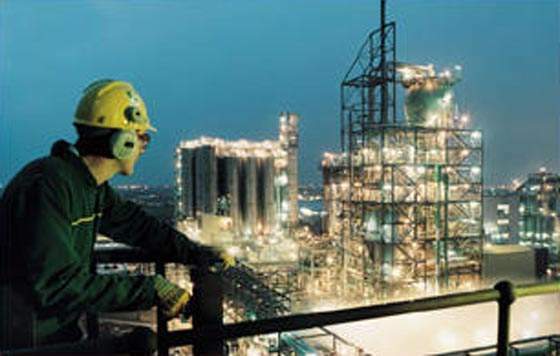 BP, the former owner of the integrated petrochemical plant and refinery complex in Grangemouth, Scotland, expanded its petrochemicals facilities in 2002. The expansion involved an increase to the plant’s capacity to produce ethanol, ethylene and polyethylene. In December 2005, BP sold the Grangemouth petrochemical plant and refinery complex to Ineos. The petrochemical plant produces about two million tonnes (Mt) of chemical products a year. The refinery has a processing capacity of about 10Mt of crude oil a year. The crude and natural gas are sourced from the neighbouring Kinneil oil and gas processing plant operated by BP. The feedstock is sourced from the Finnart Ocean Terminal. The processed fuel is supplied to markets in Scotland, Northern Ireland and Northern England. The 1,700 acre site produces polymers, olefins, petrol and other fuels. In January 2011, Ineos and PetroChina formed a joint venture to invest in the upgrade of Ineos’ refinery operations including the Grangemouth complex. PertroChina has acquired 50% of Ineos’ refinery operations in Scotland and France for $1.02bn. The petrochemical complex has two ethylene crackers. Ethanol production was increased by 100,000t/yr, which along with the existing ethanol plant raised the site’s ethanol capacity to around 300,000t/yr. The facility was commissioned on schedule at the end of the first quarter 2002. The ethylene cracker was commissioned in November 2001, and was expanded by 270,000t/yr to 720,000t/yr. This was the second expansion since the plant began in 1993. It came into production in 1999, in order to coincide with the availability of new feedstock from the Central Graben area of the North Sea. The Kinneil Terminal was expanded in 1993 to accommodate this. The total ethylene production of the plant is one million tonnes a year. The ethanol production is extremely pure, reaching 99.5% levels of purity. The production purity is maintained through advanced control systems that allow a measure of problem prediction (and hence pre-emptive solutions). The overall control is through Honeywell TDC3000 systems. 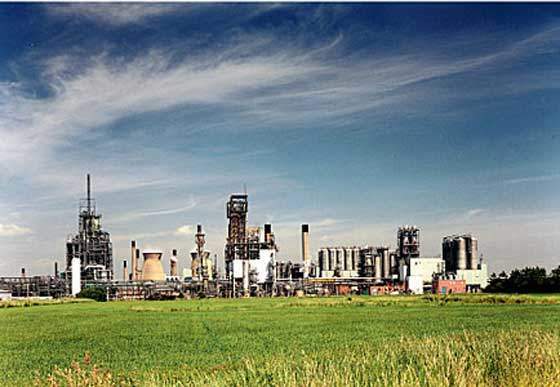 Before the expansion, the KG ethylene facility included 13,000 field instruments, 445 junction boxes, 90 marshalling cabinets, 34 TDC 3000 process and 565km of cabling connecting them all together. The firm had also developed a number of in-house measures to improve this control. The suppliers in such a project were numerous. They included: Stone & Webster, Mitsui Babcock Energy Services, Kvaerner, Luddon, William Hare, Watson Norrie and SSL. BP also built a polyethylene plant, Innovene 4, which was commissioned in the second half of 2000 with capacity of 300,000t/yr. The polyethylene plant uses ethylene from BP’s other plants at the same site. Indeed, the need to feed BP’s polyethylene plant was one of the reasons for the ethylene plant’s two expansions. The plant had also seen the construction of a combined heat and power plant (CHP) built by IVO of Finland and Mitsubishi of Japan. It generates 230t/hr of steam and 130MW of power, mainly for on-site needs. The CHP plant was commissioned in April 2001. The Grangemouth plant has various chemical processes involving cracking, quenching, compression and separation. Steam cracking requires very high temperatures, and it is a huge gain if the heat can be recovered for use elsewhere in the project. Similarly, steam derived from the quenching process is used to power steam turbines, which are used to power the plant compressors. BP had also extended its Grangemouth to Teeside ethylene pipeline to its petrochemical facility in Hull, which also underwent expansion. This is a distance of 151km. In 1990, BP began streamlining its European petrochemical operations in order to better focus its operations. Hull and Grangemouth had emerged as the key UK sites for petrochemical operations as part of BP’s long-term priorities. Hull also had an extensive expansion. A vinyl acetate monomer plant and an ethyl acetate plant were added. In Grangemouth’s case this was a natural result of its proximity to the refinery. The Grangemouth facility had benefited from more than £1bn of investment since 1990. In 1998, BP had announced a £500m ($790m) expansion package. From summer 2000 the plant had taken advantage of liquid gas feedstock coming from the central Graben area of the North Sea. The Grangemouth facility was also added with an ethanol plant, an ethylene plant and a polyethylene plant. Although the plants were expanded, 1999 did see some redundancies at both of them. The ethylene plant expansions helped BP in the UK increase mid-cycle earnings by cutting production and logistics costs. 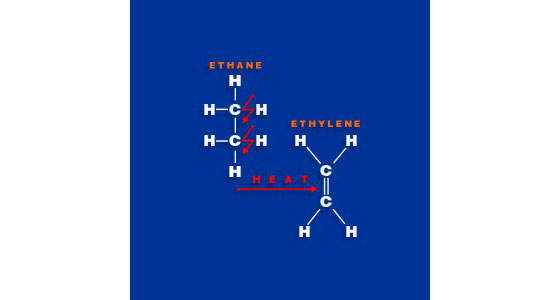 Many of the plant’s products, such as ethylene, were reused in other chemical processes to produce other derivatives. The main exceptions are the methane used to fuel the plant’s furnaces and the polypropylene, which is sold to fabric manufacturers.